This is so sweet. 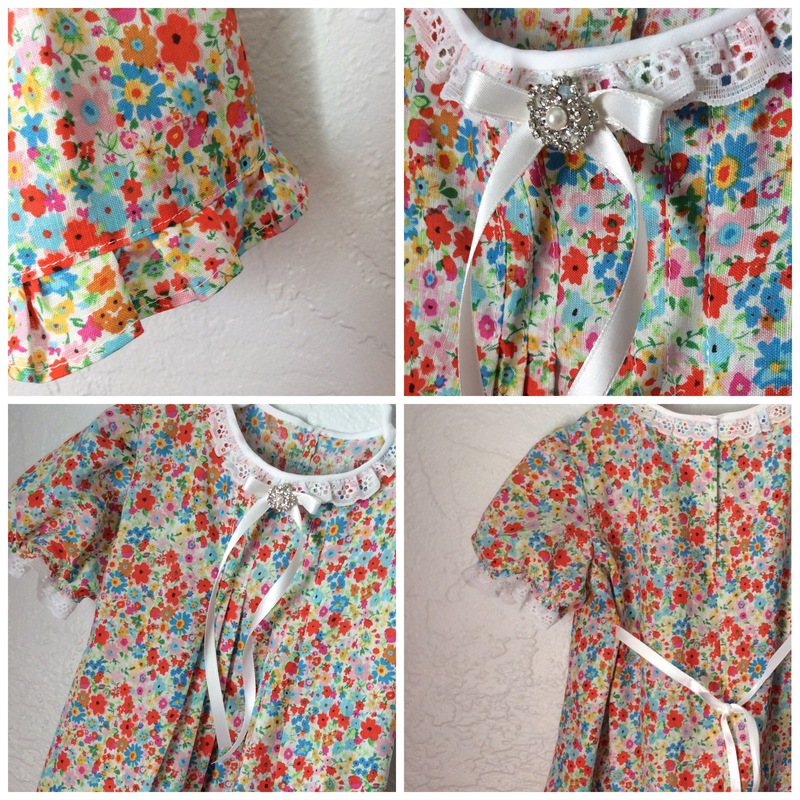 I used to make my daughters’ and granddaughters’ dresses. I’d love to see a picture of your granddaughter wearing the dress. Yes! I will definitely take a picture of her wearing it! 😊. Thanks, Lillian! Hope you’re doing well and feeling fine. Sweetness! I had a blast sewing for my daughter! 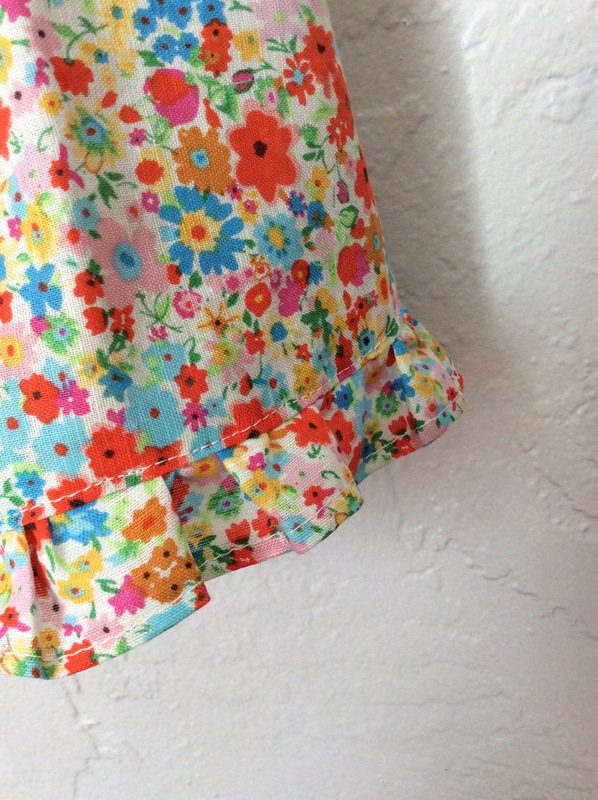 I would sew more for my granddaughters, but none of them are close by. Nevertheless, I cherish the time that I do get with them! I know what you mean… I take their measurements when I see them and then I mail the little outfits to them. Adorable! I can see the love you sewed into it. So so sweet, Daisy! Thank you for blessing us and inspiring us! Oh so lovely! It looks like you pleated the ruffle, instead of gathering it. I like that so much better. Love it Daisy!! 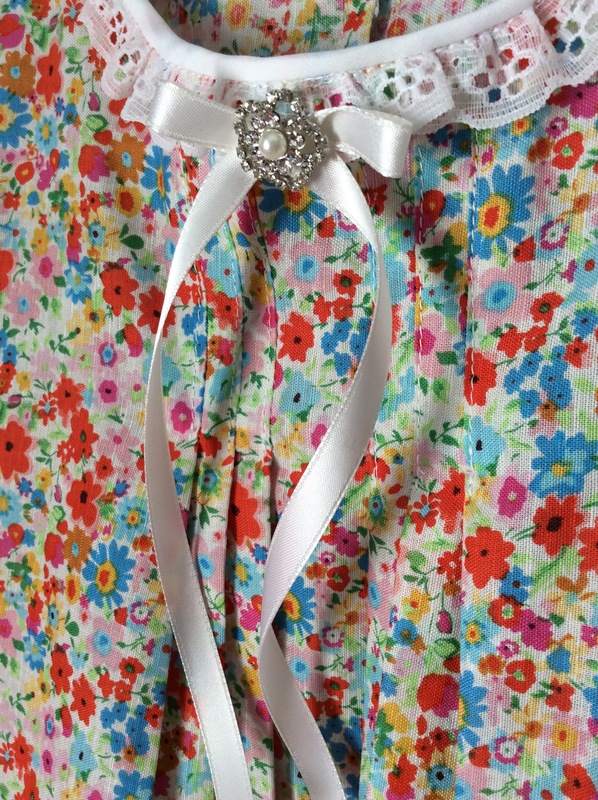 Such a sweet fabric and all the pretty details. 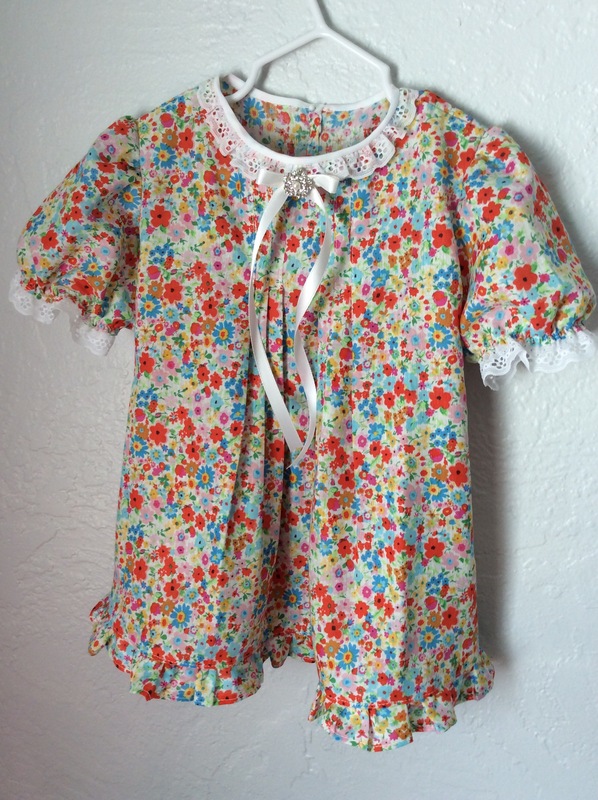 My grandma made all the clothes for my sister and me –until we were old enough to babysit and could buy “store bought” clothes. It’s a gift. 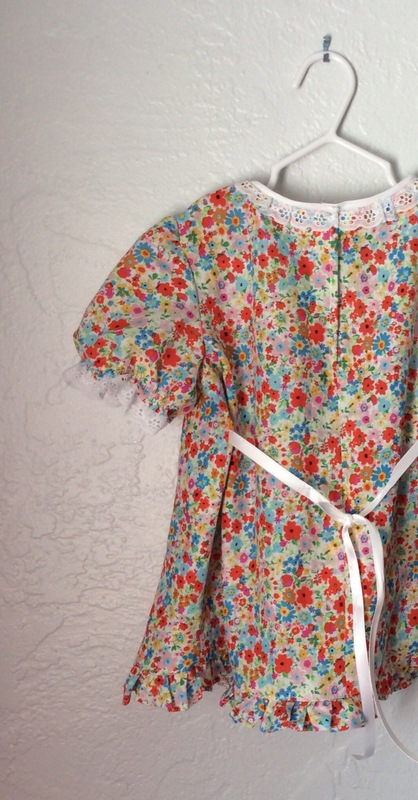 This is really the sweetest dress– she’ll look adorable! thanks for posting it! hugs! It’s so very pretty! Well done!